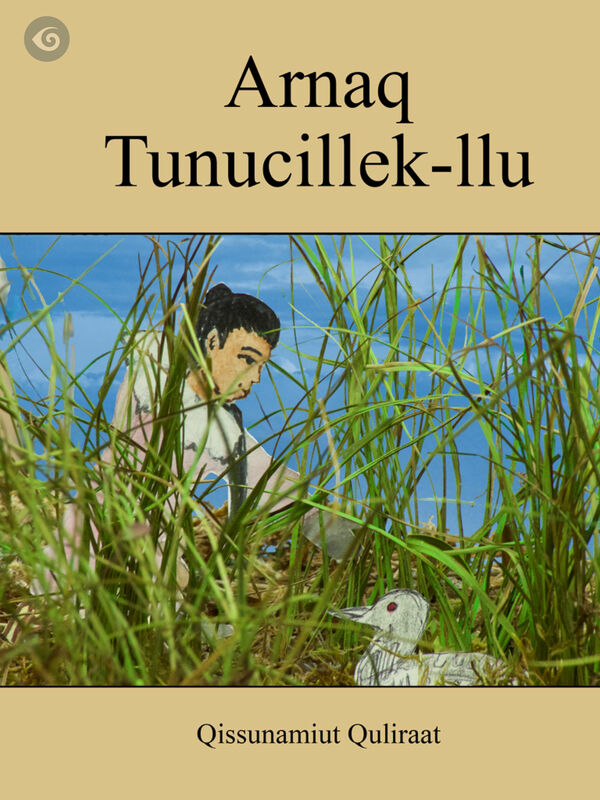 A traditional tale from Western Alaska that tells of a mysterious visitor’s supernatural secret and a young lady’s perilous curiosity. 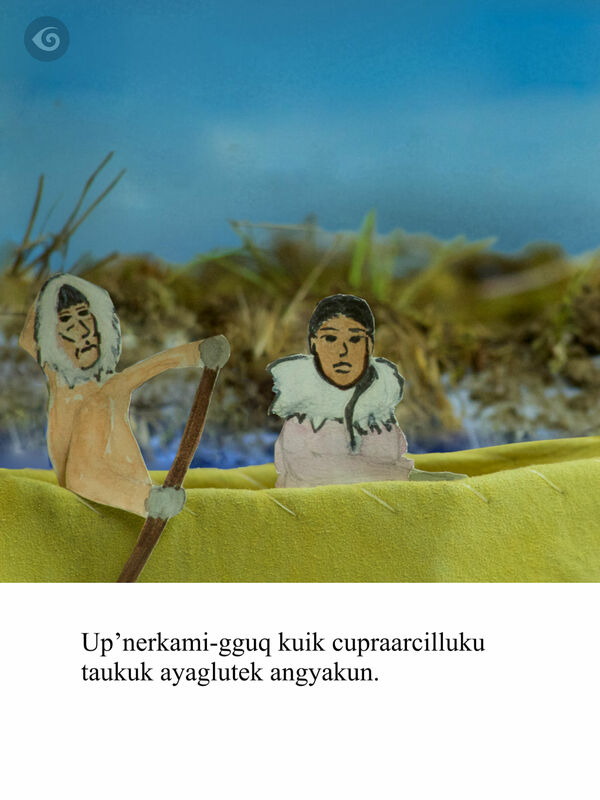 This Cup’ik language story is artfully illustrated with intricate dioramas depicting traditional cultural activities that were constructed by students and teachers at Chevak school. 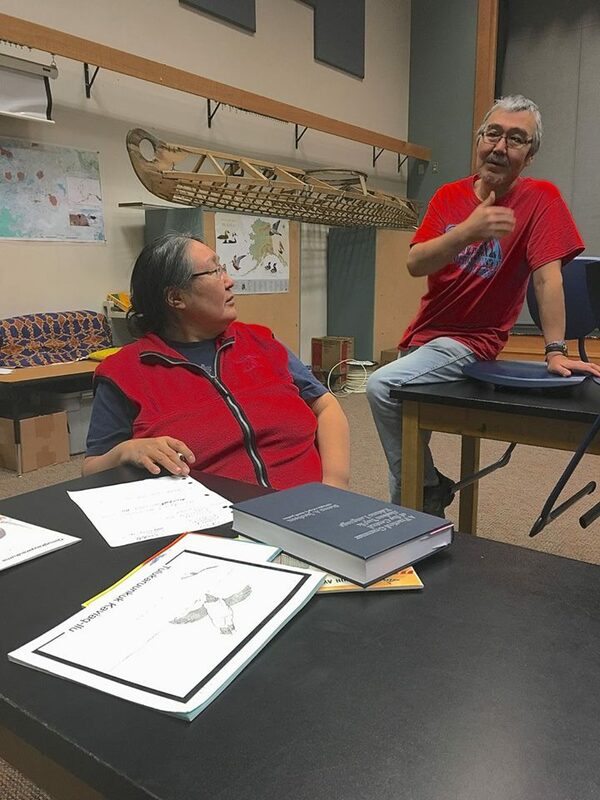 The book is used as part of Kashunamiut School District’s Cup’ik language immersion program, and contains features that promote word recognition to build beginner level Cup’ik language reading skills. 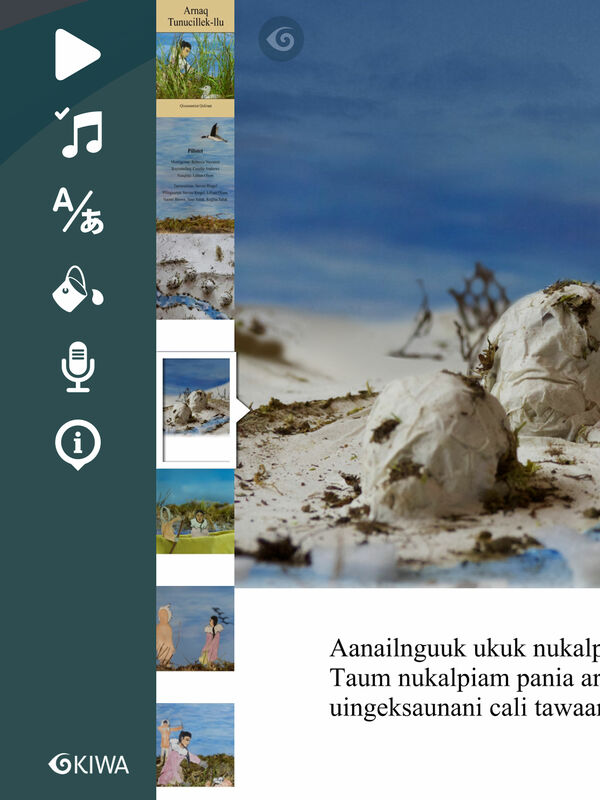 It also includes interactive sound touch zones and other audio effects that will immerse readers in this atmospheric story.